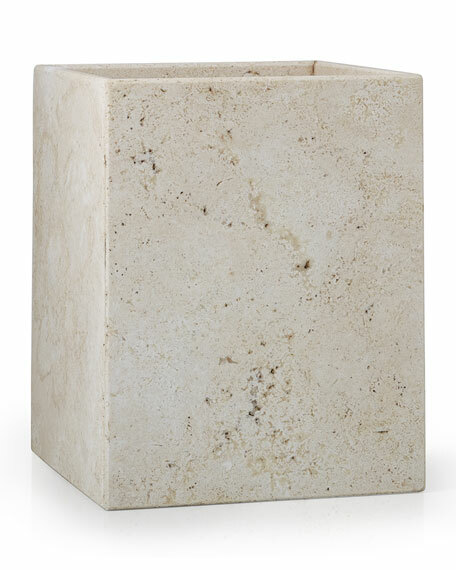 Wastebasket crafted of travertine marble. 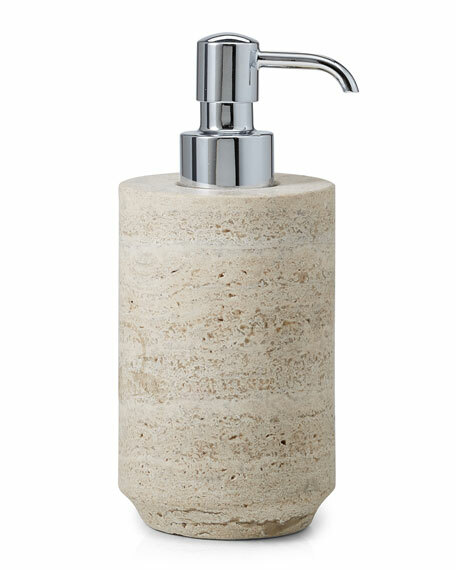 Pump dispenser crafted of travertine marble. 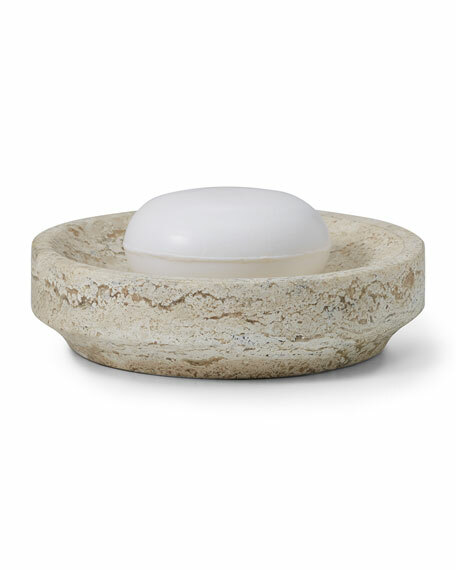 Soap dish crafted of travertine marble. 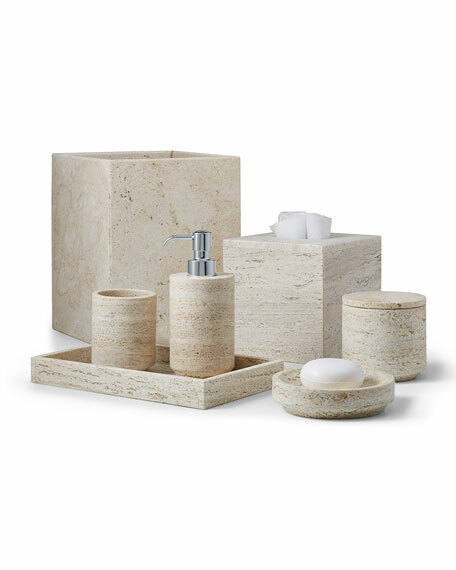 Tray crafted of travertine marble. 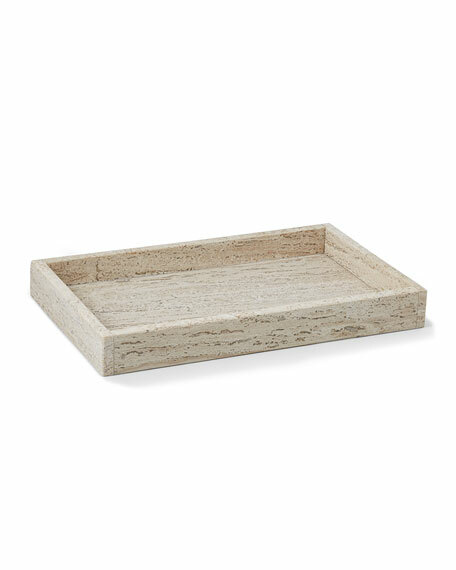 10"W x 6"D x 1"T.